„Should the United Kingdom remain a member of the European Union or leave the European Union?” That is the question that adult UK-citizens will be asked in the EU-Referendum on 23rd June 2016. 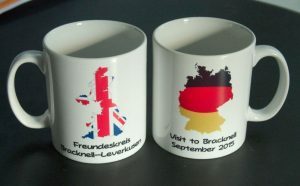 As a German – English couple with different, not dual nationalities, having family in England, Sweden and Germany, and many close friends not only in these three countries but in Belgium, France, Spain and Austria, we are, of course, staunch and committed ‘Remainers’, though only one of us will be asked the above question. As the heated debate about the right answer to the referendum question is getting more ferocious by the week we wonder why this debate seems to concentrate almost exclusively on the economic aspects of a possible Brexit for the United Kingdom, its economy and its taxpayers. ‘Brexiteers’ hardly give a thought to the potentially devastating consequences a Brexit at this particular moment might have not only for the British economy but for the stability of the EU as a whole, because whatever the result, the British are and will remain a part of Europe. The ‘Putin-crisis’ dominated by a Russian president who is reclaiming the status of a world power for his country and is trying to split the EU by a quite unique mix of propaganda, bullying and lies. The refugee crisis which came to the boil in the latter part of 2015 and has caused bitter rifts within European societies and between western and eastern European states. Driven by fear and lack of personal experience with people from other nations and cultures, there is growing support across Europe for nationalism and populism because these appear to offer clear and simple answers to very complex problems. The Euro-crisis which is far from being solved: Billions and billions of Euros have been pumped into the Greek economy – obviously in vain…. Solving any of these problems will take time, solidarity and firm resolve on all sides. None of these problems will disappear from the political agenda of the UK after 23rd June, irrespective of the outcome of the referendum. “EU member states will be determined to prevent the contagion of disintegration among its member states resulting from a Brexit: so they will never make it easy for us to leave and will exact tough terms from us in prolonged negotiations. As President Hollande said, “there will be consequences”. Nobody should doubt that further reforms of the EU and its institutions are urgently needed. Nobody should doubt that national states – large or small – still have a decisive and indispensable role to play. Their diversity is our wealth, our happiness. But if arguments prevail and not a general feeling of uneasiness and fear of “Brussels” as the source of all evil the outcome of the referendum should be clear. Social media in Germany have been instrumental in starting an initiative “Hug a Brit a day!” – just to let them know how much we love them and want them to stay in the EU. So, dear family, friends and neighbours, we send our love with hugs and blessings.